Win a VIP trip to the opening day of Punchestown Festival! To celebrate the launch of the 2019 Punchestown Festival, Tuesday 30th April to Saturday 4th May, one lucky winner will enjoy a VIP day at the Punchestown Festival with a pair of Reserved Enclosure Flexi tickets and €100 Tote betting voucher! Flexi tickets offer you flexibility to attend on the festival day of your choice, like Ladies Day! Better again you can enjoy all the extras of the new festival Reserved Enclosure! The Reserved enclosure is the social hub of the festival and the home of the new Hunt Stand, famous Sky Bar, the Bollinger Lounge as well as numerous food outlets. Festival goers can get very close to the racing action on our viewing lawns and then dance the evening away with DJ’s and Live music. Prize includes a pair of Reserved Enclosure tickets to the opening day of the festival, €100 Tote betting voucher, an overnight stay at luxurious 4 star Osprey Hotel in Naas with breakfast included along with complimentary pre Punchestown Bottomless Bubbles Brunch for 2 on Tuesday. Plus four lucky runners up will win a pair of tickets to the opening day of the festival, Tuesday 30th April. 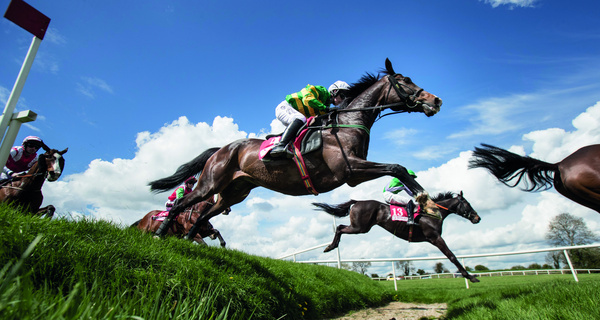 The 2019 Irish Jump Racing Festival at Punchestown Racecourse will take place from Tuesday 30th April to Saturday 4th May. The Punchestown Festival is the highlight of the Irish sporting and social calendar. The special combination of thrilling sporting action, brilliant live entertainment, delicious food and drink, family fun, dazzling glamour or casual comfort is unequalled thanks to the unique Punchestown Festival atmosphere and the quality of racing is unrivalled with a total of 12 Grade 1 contests taking place. Festival tickets from €30 with trackside hospitality packages also available from €129. For all festival information visit www.punchestown.com or call the team on 045 897704. INDEPENDENT HOUSE, 27-32 TALBOT ST., DUBLIN 1. The 2019 Punchestown Festival opens on which date? The competition is to win a VIP Trip to the opening day of Punchestown Festival on April 30th. Four runner up winners will also win a pair of tickets to the opening day of the festiavl on April 30th. Winners must be over 18 years of age and prize is non transferable. To enter the competition, fill in your details along with unique code found in the Irish Independent between April 13th and 17th or complete entry form printed in paper and post to PUNCHESTOWN VIP, PO BOX 11,INDEPENDENT HOUSE, 27-32 TALBOT ST., DUBLIN 1. Closing date for receipt of print entry form is strictly Wednesday, April 24th. Only official entry forms will be accepted. Only one name is permitted on the application form and any winnings will be allocated to the person named on the entry form. Persons may enter as often as they wish provided that each entry is on an official entry form. Photocopies of the application form will not be accepted, or entry forms sent to any address other than that stated on the entry form or entry forms sent by fax or e-mail will not be entitled to participate in the promotion. Incomplete, illegible or late applications will not be accepted. Entry forms on which more than one person’s name appears will not be accepted. No responsibility will be accepted and no correspondence will be entered into in respect of entries, whether the correspondence relates to claims of entry forms being lost or delayed in the course of delivery or otherwise. Proof of postage will not be accepted as proof of receipt and entry forms will not be returned. The competition runs from April 13th to 17th until 11.59pm. Winners will be notified by email and your details will be passed on to RedPR to arrange your prize. Attempt to contact winner will be made at least once before prize will be offered to another winner. Prizes not claimed within the specified time limit will be deemed to have been forfeited and may be disposed of by INM without any liability to the winner.